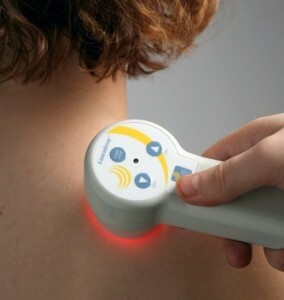 Laser treatment is a painless, non-invasive method that helps to reduce acute and chronic pain. 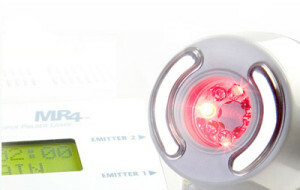 The low-level laser (i.e., cold laser) is used to create therapeutic effects, including accelerated healing time, pain reduction, increased circulation and decreased swelling. This FDA-cleared treatment enables patients to have an alternative to drugs and surgery. A typical treatment duration is 5-15 minutes, depending on the size of the area and the condition being treated. Frequency of treatment varies depending on the nature of the condition; patients typically see results after 2-5 treatments. The treatment is applied directly to skin and you feel a soothing warmth as the therapy is administered. Learn more about Laser Technology.